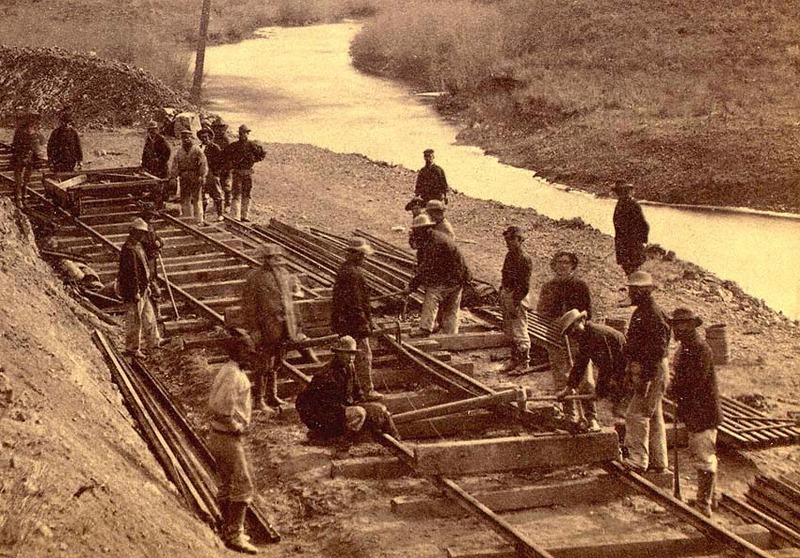 I have been reading George Kraus's book High Road to Promontory and am at the part where the Central Pacific laid 10 miles of track ... in a single day. Kraus mentions there was difficulty where curved track had to be laid as the rails were bent by hammering them between two blocks (page 252). I'm nor a railroader or engineer but I have difficulty with this. First, if the iron (56 lb./yd. I guess) was soft enough to be bent by hammering, would not the place where you hammered be damaged/distorted? Second, how could you have any accuracy-keeping the curvature smooth and the correct amount of turn?